It's award season! We've seen the Grammys and the Oscars are coming up! To help you celebrate award season, I'm giving away a Joy of Thank You Red Carpet Kit from Merci chocolates. Merci chocolates are European chocolates that come in an array of flavors, from dark mousse to coffee and cream to hazelnut-almond. The chocolate is rich and smooth, and the flavors are interesting and fun. 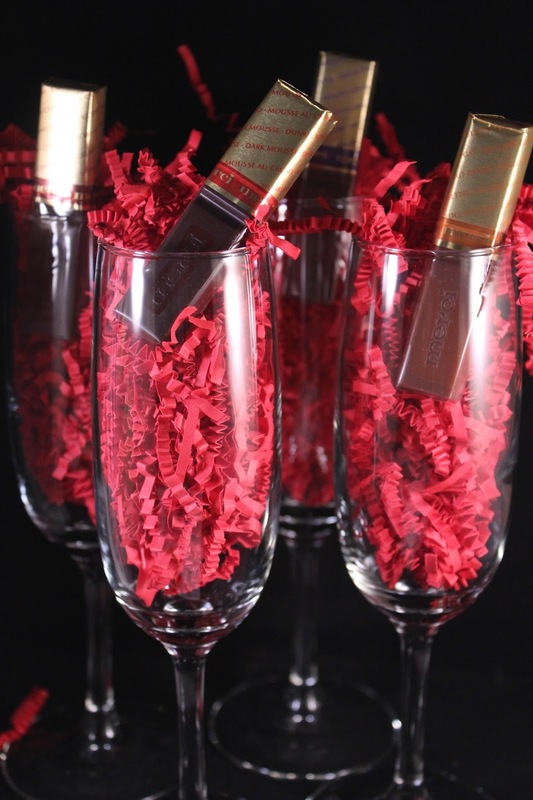 The kit includes a box of Merci chocolates, four champagne flutes, four popcorn containers, and a list of tips to help you share meaningful thank yous and toasts. Merci notes that "one of the highlights of these annual star-studded evenings is listening to the emotional and meaningful thank you speeches" but wants you to remember that "giving someone a meaningful thank you isn’t just a once-a-year gesture. Giving a meaningful thank you is a heartfelt way to show those important to you that you truly appreciate them every day." Is there someone you would say a meaningful thank you to... and perhaps present with a box of Merci chocolates to show your gratitude? I would give a meaningful thank you to all of you. My readers. I appreciate that you all take time out of your busy lives to read about what's going on in mine -- the things I'm cooking, the places I'm going, the food I'm eating -- and to leave your thoughts and comments. If I could send all of you chocolates, I would! If you'd like your own Joy of Thank You Red Carpet Kit, leave a comment here letting me know who you would give a meaningful thank you too. For an additional entry, be sure to follow Merci chocolates on Twitter and tweet about this giveaway using #MerciAwards. Leave a separate comment letting me know that you tweeted. You have until Saturday, February 23, 2013, at 11:59 p.m. EST to enter. I'll announce the winner in this post shortly after. Merci provided everything for this giveaway and also sent me a Joy of Thank You Red Carpet kit to review. As always, my opinions are my own. And the winner is . . . Meryl! Congratulations, Meryl!